Couldn't be happier. I had a custom giraffe apron made. It looks fantastic. It is great quality. And it was done ahead of time!! Would definitely recommend to anyone looking for handmade unique items. 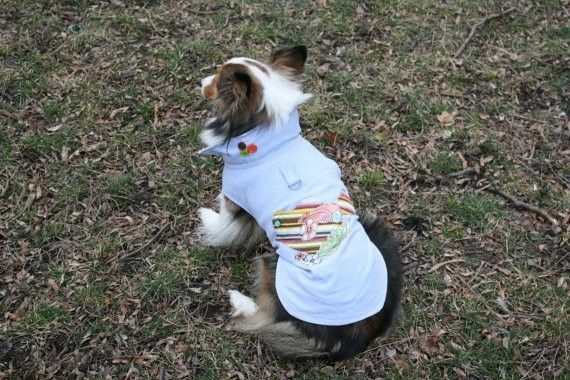 Now your furry friend can be as earth-friendly as you! 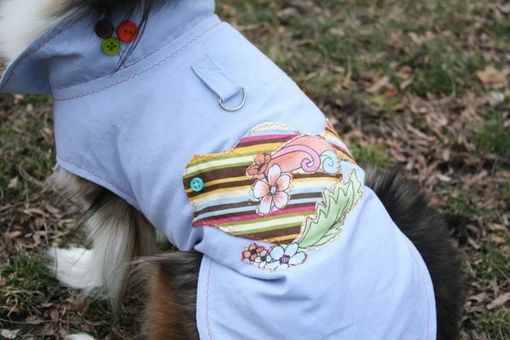 This adorable jacket was made using amazing vintage denim and flower fabric from upcycled vintage clothing. 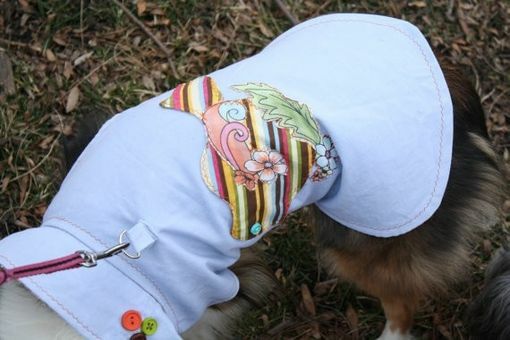 The collar has a decorative cluster of three buttons, and when folded down reveals the beautiful swirly-flower pattern that the entire jacket is lined with. 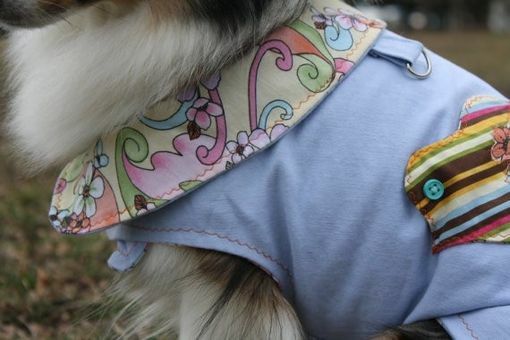 The cute and convenient bird applique pocket is perfect for holding treats, bags for proper clean-up, or anything else your pup's little heart desires! You have the choice of velcro or buttons to secure it, and can also double as a harness with the optional D-ring attachment. 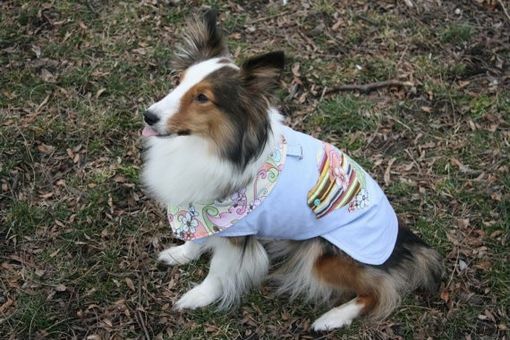 Each dog item is custom-made for your furry friend & hand sewn to perfection. You can be as involved in the design process as you wish. Choose a theme and design from the examples I have listed, or we can create new together. Pick from new or vintage fabrics I have in stock, request others, or leave it to my discretion. E-mail me your ideas & we will go sewing from there! Every maker has a story. Be a part of Missbeat's story by placing an order, leaving a review, and seeing your review appear here.